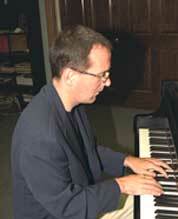 Like many jazz pianists Richard Whiteman began his musical studies by taking classical piano lessons as a child. His classical training culminated in a B.A. in music from the University of Toronto. As a teenager Richard became aware of the devils music through the mass media, radio and television, and recordings borrowed from Torontos public libraries. Hearing jazz greats like Zoot Sims, Jim Hall, Ed Bickert and Art Pepper at Torontos Bourbon Street made a strong impression on him as well. Richard gained some jazz experience by playing in the UofT big band led by Phil Nimmons and attending a jazz workshop in Banff in 1989. As a professional Richard works mainly as a leader of his own groups but can often be heard accompanying fine singers like Bonnie Brett, John Alcorn and Melissa Stylianou. 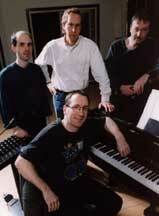 Richard has worked with notables like Ed Bickert, Nick Brignola , Ken Peplowski and the Al Henderson Quintet. Richard loves the entire history of jazz piano as well as the vast literature of American popular song. His music is highly influenced by swing, Charlie Parker, Bud Powell, Tommy Flanagan, Keith Jarrett, Art Tatum and Bill Evans among many others.